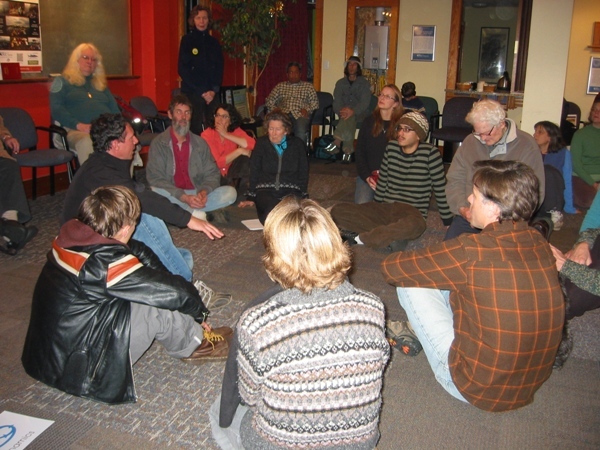 There was an evening workshop in Bellingham, WA, USA, the evening of January 29, 2013, and a one-day workshop in Vancouver, BC, Canada, on February 2, 2013. PatternDynamics ™ is a language of visual Patterns – a ‘Sustainability Pattern Language’ – that will help you understand, communicate and design solutions at the systems level. By learning PatternDynamics ™ you will gain a powerful new capacity as a ‘systems thinker’ – a skill that is often thought to be unteachable. With this skill you will learn to create Cultures of Sustainability and to facilitate Deep Sustainability Design; sustainability strategies that help resolve complex challenges at any level of organisation, from the community to the planetary, and in any domain, from business to governance to institutional. Tim recently visited the west coast of the U.S. and Canada, and I had the privilege of organizing one of his workshop presentations, this one in Bellingham, WA. He gave a 40-minute overview of PatternDynamics, another 40 minutes leading an experiential embodiment of the patterns through group breath and movement patterns, and concluded with 30 minutes of Q&A. I’ll share a summary of Tim’s overview presentation, and then a bit about the group movement exercises, followed by some closing thoughts. One of the first things Tim mentioned was that the tagline of PatternDynamics has recently been changed from “Learning the principles of sustainability through the patterns of nature” to “Collaborative systems thinking for thriving in a complex world.” This is partly due to finding the demand for this work so far to be primarily in organizational settings. 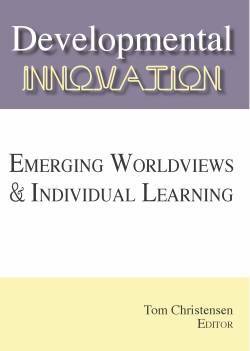 PatternDynamics grew out of what he calls “perspectival systems thinking:” self, culture, and nature. 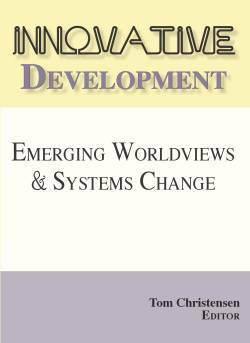 Things get very interesting when we begin to look at the “integrative systems view that can be applied to at least those three perspectives.” We’re talking about a broader level of systems thinking than is usually presented, which tends to focus on the biosphere and neglect the noosphere. Nature has sustained thriving systems for hundreds of millions of years, and has demonstrated that integrating multiple patterns of organization is the key to sustaining those systems. Borrowing patterns from nature and applying those principles to human organizations, and then learning to balance and integrate them, can contribute significantly to the enduring health of those organizations. Tim has created pattern diagrams that represent those principles in an attempt to create a language that can be used to communicate systems thinking. This language can then be used to facilitate organizational sustainability. “Language is really important for helping us to see things,” Tim tells his workshop participants. If we don’t have a symbol for something, it does not become enacted in our reality. Language and symboling are profoundly important, and patterns are profoundly important in how parts come together into wholes. To have a thriving planetary civilization, there needs to be organizations at all scales and in all domains that are sustainable to support that. Just like in ecology, each scale, and level of that ecology – all of those scales of organization in nature need to be sustainable at their level and participate in the sustainability of the overall system. So that’s the strategy behind PatternDynamics, its orientation with organizational settings, and trying to get traction there. This approach is really about horizontal health. It’s a typology, a set of types. These are horizontal distinctions – more about how the health functions at any level of the system… Developmentalism is a critical aspect of a more integral world, but I also think we can fixate on it, and maybe there needs to be a balancing – more of a horizontal-health-oriented approach, especially in organizational settings. is a meaning-making tool. That’s why it’s a language. Values, culture, and meaning are at the heart of how PatternDynamics works … So rather than having a cultural warfare between people who either fixate on or reject some patterns other groups crusade on, we can actually create a higher-order value system that values the health of the whole, where all the patterns are discussed, and how to balance and integrate them. Systems-thinking disciplines are often very complex, theoretical, hard to remember, and difficult to apply. Tim says “I love theory, but it’s only really meaningful to me when you can get traction through an application in the real world.” So he has put great effort (along with help from collaborator Kamya O’Keeffe) into making PatternDynamics “simple, sticky, and scalable.” The pattern diagrams work as a set of symbols that communicate how “wholes” work and whether they are healthy or not. Once you’ve made it visible, you’ve made it important, and valuable. This is how cultures work, and PatternDynamics is designed to create cultures of sustainability. Our strategies are 1) Trying to help people understand in their first-person environment, 2) then we try and help people learn to communicate and establish a culture or set of values around how whole systems work to make them healthy, and 3) then, and only then, do we move on to this work we call ‘deep sustainability design,’ creating cultures of sustainability where we develop strategies for intervening or changing something. My brief experience in the organizational development world with PatternDynamics as a tool is that you can go ahead and introduce strategies for development, but if cultures don’t value the strategy, then forget it. You can spend lots of money trying to force it and make it happen, but it won’t stick. But if you can establish the culture, and get agreement that it is of value, and people buy into it, your strategy will stick and be effective. After the overview of PatternDynamics, Tim asked the workshop participants to take part in an experiment with him, “to create a really strong and intentional identity and purpose for our work today. Our identity and purpose is to form a temporary learning organization – a model system with our bodies, our minds, and our awareness. It was explained that “Source” represents the fundamental pattern of organization at the heart of all systems, and that the Source of any organization is its identity and purpose. “If the identity and purpose is strong, there’s a strong sense of self-organization.” So he asked for agreement, and for the group to read aloud together a “Source Commitment” statement that identified the identity and purpose of the temporary learning organization we were creating. Tim had us remove all the chairs from the room, and asked us to stand in circles around the 7 first-order Pattern diagrams he had laid out on the floor (Rhythm, Polarity, Structure, Exchange, Creativity, Dynamics, and Source.) He then proceeded to teach us these seven Patterns through simple breath and movement patterns alternating with brief definitions, compelling examples, and group discussion. As we went along, it started to become clear that each movement was not separate and distinct from the others, but instead each one built on the one that came before. This served as a powerful example of how integrated the patterns really are, and that they are all there all the time. What changes is what we focus on, and what perspectives we bring to bear. 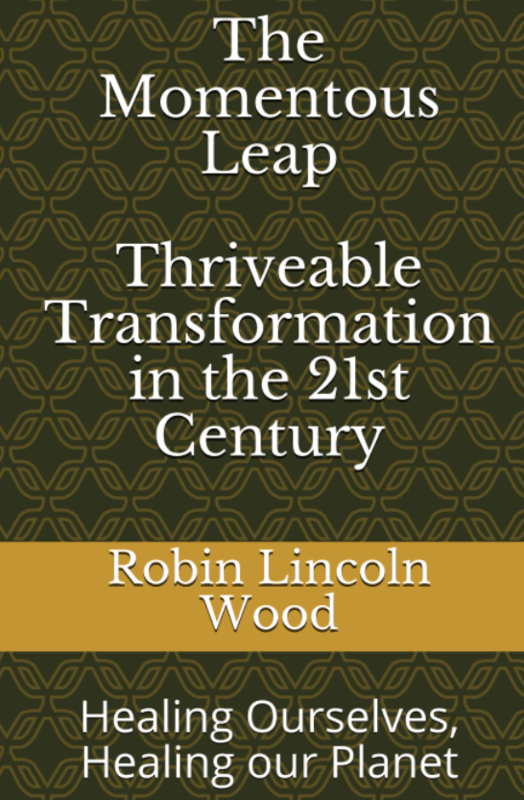 That’s where we really bring living-systems consciousness into organizations, because living systems … have a really amazing capacity to adapt and change, and keep themselves thriving in a range of circumstances. If we can bring that capacity into our organizations, then our organizations can in turn steward those environments better. We concluded the Breath and Movement section by experiencing “Source” with a minute of silence and stillness. 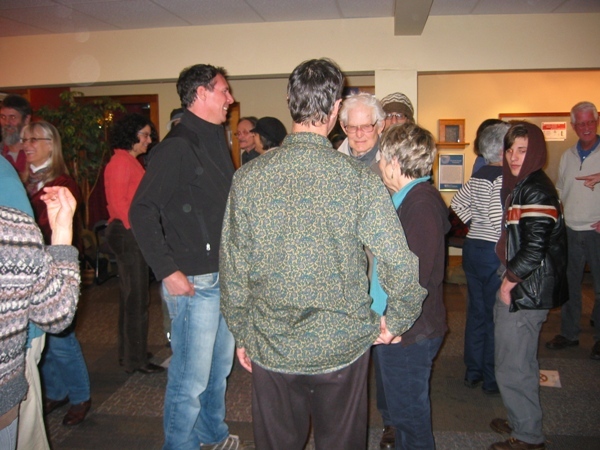 There then followed an extended free-flowing discussion with the group. People seemed to agree with one woman’s comment “I feel very charged, and alive. It feels like the whole field is charged, not just me.” Throughout the discussion there was a strong sense that the participants were fully engaged and expressing a more sophisticated understanding than one might expect to have achieved after a short 1 ½ hours of workshop experience. I think living systems have this kind of awareness [that we had a taste of tonight;] there’s a very, very refined capacity to sense the signaling between the parts to coordinate into some kind of dynamic system. Having a language for how that happens, and being able to share this language, will help coordinate the source of our own organizations, which then are the foundation for supporting the environment and the planet. I hope that the process we’ve gone through today has made you aware of and allowed you to see how using these symbols, or this language, can allow groups to balance and integrate these different patterns for the health of the system, and that you can have conversations about your power and politics from that perspective – how adjusting the system based on these patterns can be useful to you. That’s my hope of what we’ve achieved tonight, at least at a very basic level. 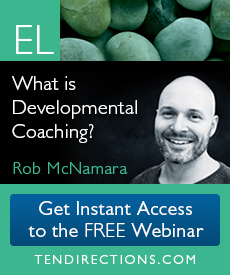 There are other resources on the website, and we’re continually developing more. One of the things that really impresses me about Tim Winton is that he has not only developed PatternDynamics as a very practical “real world” tool, but that it is grounded in robust theory. Tim has made important contributions to the biennial Integral Theory Conference (2010 Best Paper Award Winner for “PatternDynamics – Creating Cultures of Sustainability.”) For the Integral Theory geeks who might be reading, I’ll conclude with some remarks I received recently from Tim in a personal communication regarding the relationship of PatternDynamics to Integral Theory and practice. 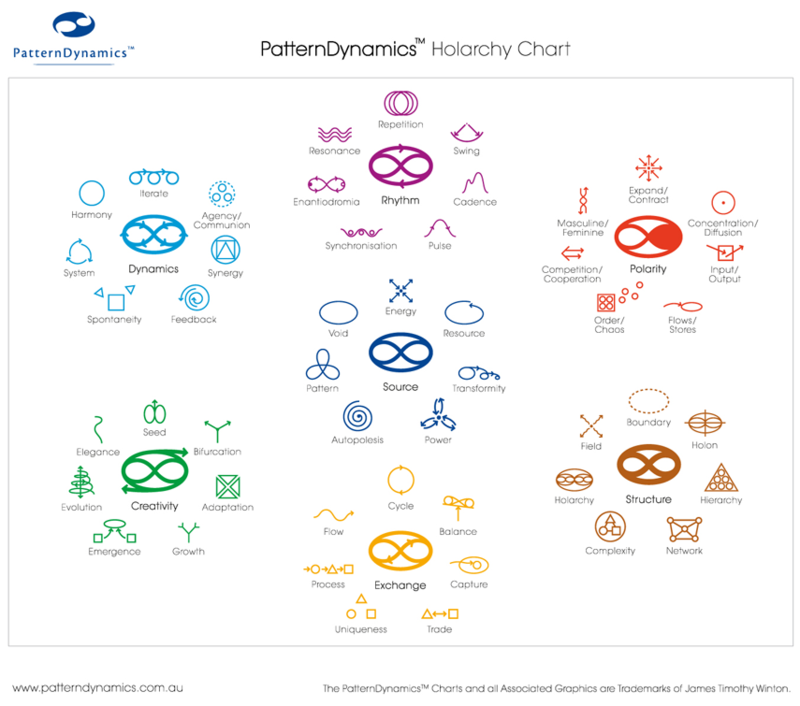 I think PatternDynamics is bringing three major innovations to integral theory and practice. The first is to demonstrate that there are actually a whole range of foundational integrative perspectives and that these can be understood as ‘meta-types’ or ‘meta-patterns’ that are useful from an integrative viewpoint (not just the five meta-types identified as the elements of the AQAL Integral framework–although this is an excellent starting place;) the second is that these can be collectively discovered through a second-person approach of ‘language’, as a complement to a prescribed first-person theoretical framework (a more semiotic approach as opposed to a more theoretical approach;) and, the third innovation is to bring a more dynamic approach where the ability to ‘shift’ patterns and perspectives (meta-types) and to balance and integrate them in service of health and evolution becomes at least as important as recognising and inhabiting the perspectives themselves. The analogy I use sometimes when describing this difference is that the AQAL Integral approach is like a deer and the PatternDynamics approach is like a kangaroo. They both inhabit analogous ecological niches, but they actually represent species of thought and practice that have evolved in different places from different grounding fields– theory vs semiotic, first-person orientation vs second-person orientation, pan-psychism vs pan-semioticism, focus on individual practice vs focus on second-person enactment, individual enlightenment/emancipation vs social emancipation/enlightenment. This theme will form the basis of my paper for ITC 2013. As I was about half way through the PatternDynamics workshop in Vancouver I sat back and thought to myself, “I wish I had done this a few years ago.” I was just finishing a four year collective experiment with a website called Beams and Struts, which I co-created with seven others. I could see so much of our experience as we went through the core seven patterns, and being able to recognize these dimensions while partaking in the project would have been very helpful. For instance, we always struggled with finding the Structures to contain and maintain the immense amount of Creativity we were producing; however, I can only say this looking back now in retrospect, as we didn’t have this language/perspective while immersed in these problems. Being able to perceive other patterns such as Polarities and Rhythm would have also been very useful for us as we went through those swings. I look forward to future projects and contexts where I’m able to be more conscious of these patterns as they are occurring. I’m also currently studying to be a minister in the United Church of Canada and as I went through the workshop I could also recognize all the patterns playing out in church organizational-congregational life. It struck me that church leaders (and lay people) could really benefit from this awareness. Some I already see in place at my church, such as how the Rhythm of a prayer to begin board meetings brings us all back into Source. But many others we are not so sophisticated with, and as I said to Tim after the workshop, it would be great to see a book in the future that specifically applies PatternDynamics to the church. This could be very fruitful. Lastly, as a more general statement, I deeply appreciate that these patterns have been ascertained through a close study of the natural world. I think this type of understanding bodes well for the crucial re-alignment with Creation (to use Christian language) that’s so needed in our time. Tim has elaborated a “matrix” of first-order and second-order (combined) pattern diagrams (see Figure 1 above, as well as the Matrix chart on the website) which seem to serve the purpose of adding to the “vocabulary” of the language. I also want to mention my personal impression of Tim himself as “ego-less” in the best and highest sense of the term: very humble, approachable, “clear,” passionate about his work, dedicated to helping humanity deal with the overwhelming complexity of life and challenges of these times. I would characterize Tim as a very smooth, expert, and calm workshop leader, and someone who sincerely and proactively invites co-creative feedback to help elaborate, modify and evolve these ideas. It was mentioned in what David reported above, but I want to emphasize Tim’s skill at co-creating with us, in the Bellingham workshop, a palpable and valuable “field” of what I would call collective intelligence and caring! My attraction to PD is partly because it seems to be a taxonomy of the patterns of living systems which is complete, and therefore fractally applicable throughout human life. Also, because it is based on what Nature does, it is in my opinion superior to human systems designed on other bases, too many of which are dissociated conceptual bases created out of human agendas different from Nature’s agenda, the sustainability/thriving of a living system! If PD is a valid taxonomy with respect to living systems, (and I’m not actively questioning, it’s just unproven yet) it should be mappable onto our other best maps of how living systems operate. One instance of such cross-mapping is what Marilyn Hamilton is doing in her blogs about the interface/relationship between PD and the taxonomy of Twelve Intelligences of cities, which she identified in her creation of the mapping of Integral Theory onto the functioning of cities as living systems. The cross-mapping between PD and IC is proving extremely heuristic and can be explored further by the reader here: http://marilyn.integralcity.com/?s=Winton and in the following section of this Notes Report. The three reports above are based on our participation in very limited presentations of PatternDynamics, and all three of us are motivated to learn more about its interface with Integral Leadership and with the variety of applications in our areas of interest and concern! 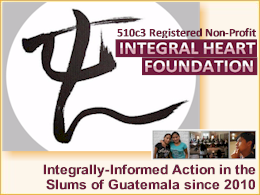 In 2012, Tim was a featured speaker at the Integral City 2.0 Online Conference. (Sign up free and listen to or download mp3 of his interview here.) As a result I had a special interest in his first North American workshops. Since the workshop, I have been considering how Pattern Dynamics (PD) offers a complementary language for organizational development in the context of cities. Like fractals, the PD patterns are essentially embedded at organizational scale, in the patterns that are foundational to the framework of Integral City at city scale. At the city scale, the patterns that I have explored in the Integral City book, website, articles, conference, blog and trainings have been derived from the five Maps of the City. Four of these maps are presented in the book, (and recently discussed with Ken Wilber) and the fifth in a recent article. I will explore each of them in subsequent blogs but here is how I see them relating to Winton’s PatternDynamics. Tim’s recent interview with the IC2OC inspired me to explore his PatternDynamics language further. 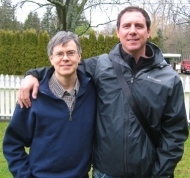 I am so delighted to have received instruction in the Vancouver workshop from the Pattern Dynamics Language creator himself – and can recommend his integrally-informed teaching style to anyone trying to understand how organizations as living systems speak a pattern language that reveals their energy, functionality, and their evolutionary wellbeing. Find the links to the other blogs on Pattern Dynamics and Integral City Maps here. David MacLeod holds a Bachelor of Music degree, considers himself a social permaculturist, and is involved with the Transition Initiative movement as a co-initiator of Transition Whatcom. He has written for Beams and Struts and for Energy Bulletin/Resilience.org, and blogs at http://integralpermaculture.wordpress.com. 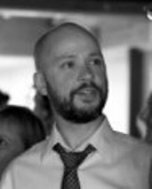 Trevor Malkinson has a BA and MA in Philosophy, and is currently doing a Masters of Divinity at the Vancouver School of Theology. Rev. Alia Aurami, Ph.D., is Head Minister of an independent “micro-church” in an independent micro-religion. She helps world-improving organizations and groups enhance their natural intelligences so they can do more with less. 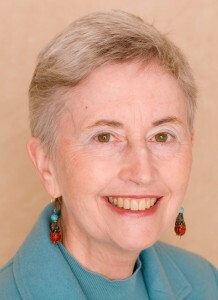 Her Integral-related blog is http://exploringsecondandthirdtier.blogspot.com. A longer bio is at http://www.archive-ilr.com/archives-2010/2010-08/omnotes810.pdf. 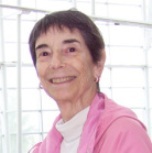 Dr. Marilyn Hamilton is a city evolutionist, practivist, author, and researcher. She is Founder of Integral City Meshworks Inc. and author of Integral City: Evolutionary Intelligences for the Human Hive. She is the Producer of Integral City 2.0 Online Conference (2012) and Faculty at Royal Roads University, University of Victoria, and Adizes Graduate School. She is Co-Convenor, Centre for Human Emergence Canada. FYI, for those on the west coast of the USA and Canada, Tim is planning a return trip in May, and there is pencilled in a One Day Workshop and a 2 Day Level II Training for May 18th, 19th and 20th in the Bay Area (San Francisco/Oakland) and a One Day Workshop on Saturday on the 25th in Seattle and then a 2 Day Level II Training in Bellingham, WA on Sunday May 26th and Monday the 27th. Contact me for more info: miles58 (at) yahoo (dot) com.